"I remain deeply surprised and saddened, as this decision ends the beautiful 43-year legacy we built together," Buckingham said. Lindsey Buckingham, the Fleetwood Mac singer and guitarist who wrote the hit song "Go Your Own Way" is suing the group for doing just that. The lawsuit filed this week in Los Angeles County Superior Court says he was kicked out of the band, which cost him at least $12 million in tour proceeds. He had been a part of Fleetwood Mac on and off for 33 years. "Fleetwood Mac strongly disputes the allegations presented in Mr. Buckingham’s complaint and looks forward to their day in court," band publicist Kristen Foster said by email Friday afternoon. The claim names Stevie Nicks, Christine McVie, John McVie and Mick Fleetwood and reads almost as a history of Buckingham's contributions since he joined in 1975 on the condition, he said, that then-girlfriend Nicks was also accepted. Because of his influence, the suit states, "The Band became one of the most successful bands in the history of rock 'n' roll." Buckingham said in a statement, 'I remain deeply surprised and saddened, as this decision ends the beautiful 43-year legacy we built together,' Buckingham said. The lawsuit filed Tuesday seeks unspecified damages, attorney's fees and interest on money Buckingham claims he's owed as a legal "partner" of the act. It claims breach of oral contract, breach of fiduciary duty and other civil violations. 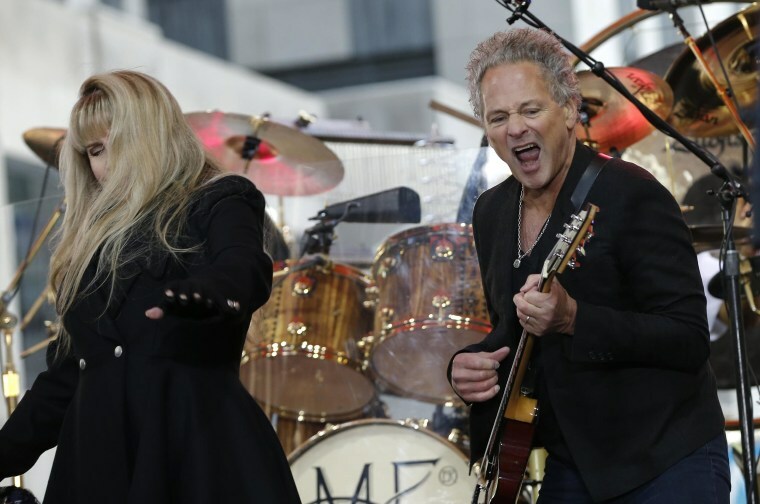 Buckingham said he was informed that Fleetwood Mac would tour without him five days after the band's MusiCares appearance, a Grammy Awards-related event Jan. 26 at Radio City Music Hall in New York. He described it as "what may be the group Fleetwood Mac's final performance." He argues that Fleetwood Mac wasn't much of a hitmaker before he joined, and that it fell into malaise during his hiatus from the act from 1987 to 1997. The lawsuit notes Buckingham's contributions on the 1977 album "Rumours," which sold 40 million copies worldwide and contained the single, "Go Your Own Way." "By 1994, Fleetwood Mac, which during Buckingham's tenure had headlined arenas and stadiums, was relegated to the status of an opening act ... ," he argues. When he was cut in January, Buckingham responded by "seeking an explanation" from band members and "expressing a willingness to carry on the tour," according to the suit. Only Fleetwood responded — with "a cryptic response." The more than 50-city North American tour was announced in April. The group is scheduled to perform Friday at Pinnacle Bank Arena in Lincoln, Nebraska. "I'm looking forward to closure," Buckingham stated, "and will always remain proud of all that we created, and what that legacy represents."